We're heading toward Bikar hopefully this week. 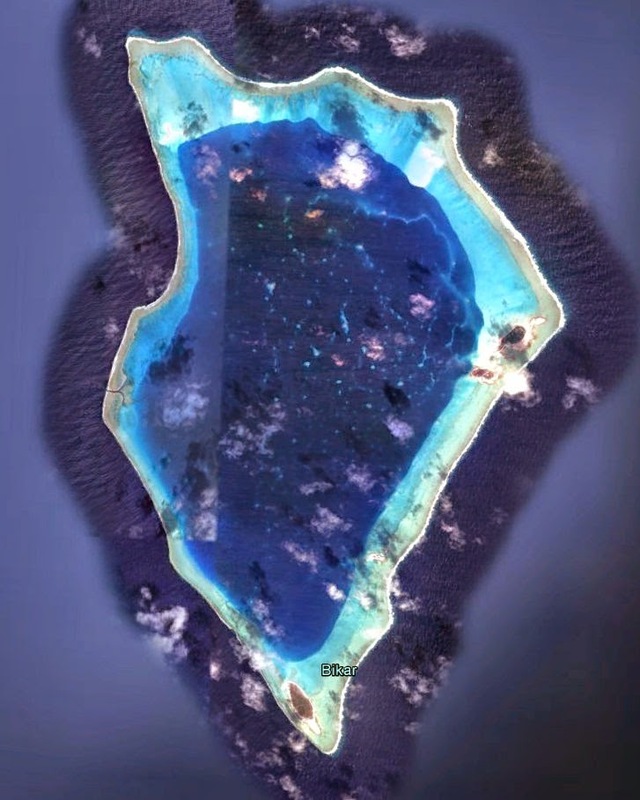 Bikar atoll is the second most northern atoll of the Marshall Islands and infrequently visited due to it's remote location and technical pass with limited water depths just inside the pass. Before going in we'd scout the pass in the dinghy. It looks like the north branch is most favorable, however on the lagoon side the water looks very shallow and studded with coral heads. It will definitely require good visibility and settled conditions to attempt. 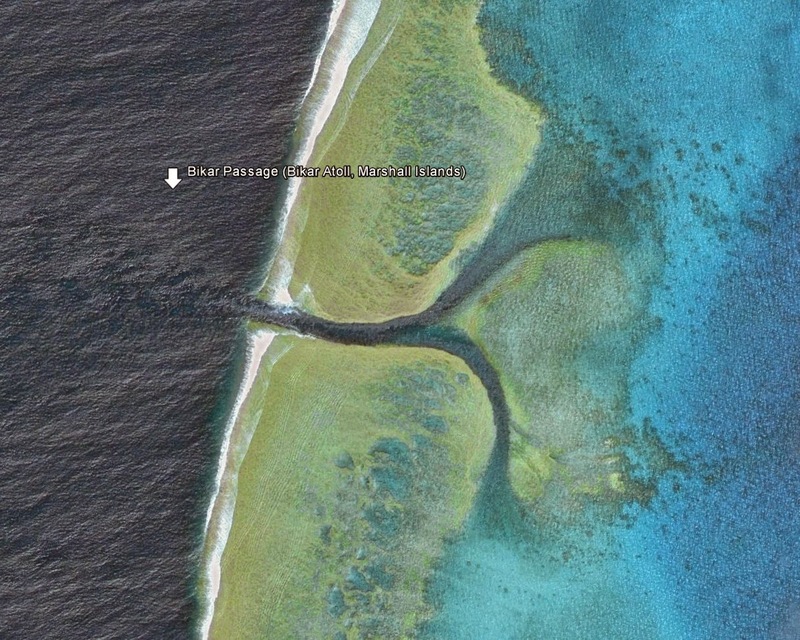 Bikar Atoll Pass looks sketchy and then it looks very shallow just inside. 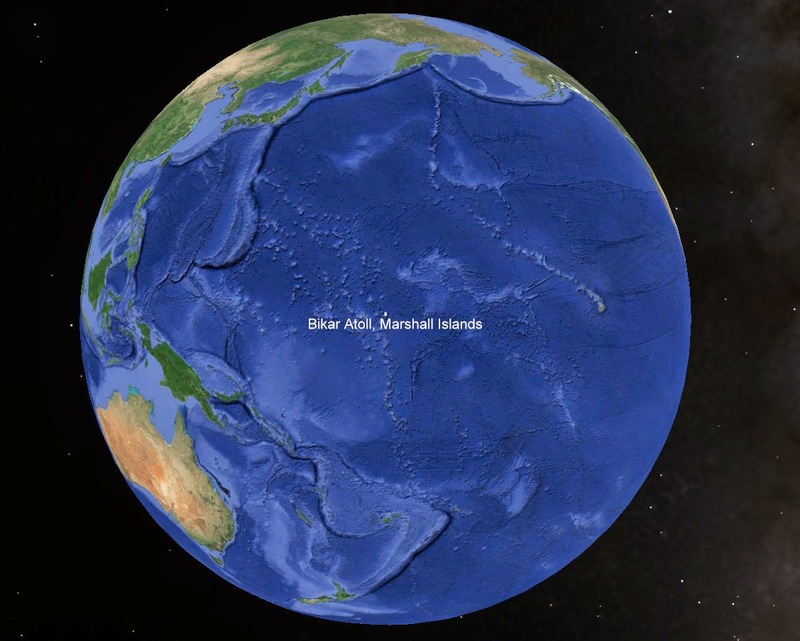 Bikar Atoll is located just above the M in Marshall Islands.